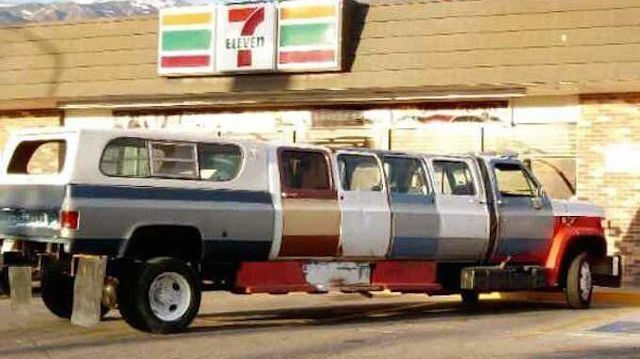 Check out this wacky stretch limo truck camper. How may cab does it have? Um, that would be 5! Plus the camper topper for added measure. We find this one parked in front of a convenience store. Four Different Types of Truck Campers, Which One Is Right for You?